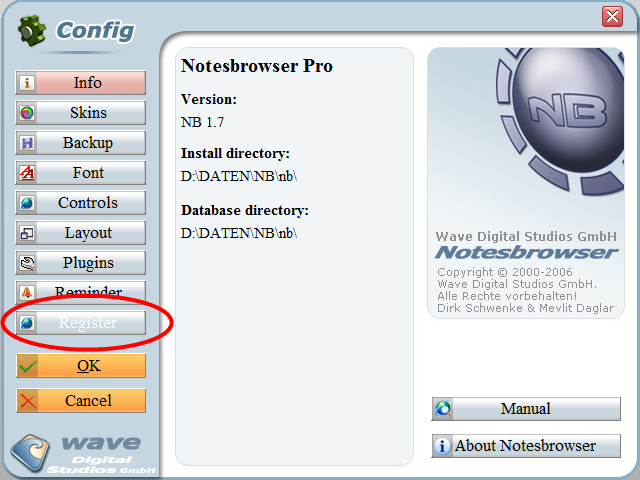 How do I unlock Notesbrowser? 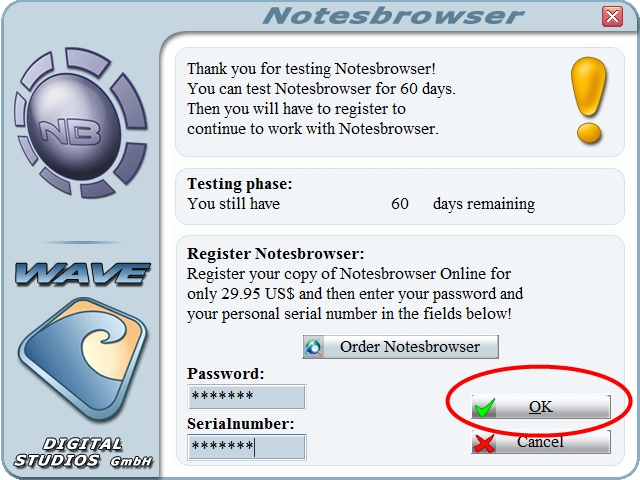 If you have lost your Password or Serial Number, please contact us by Mail (email is on the contact page of our homepage). 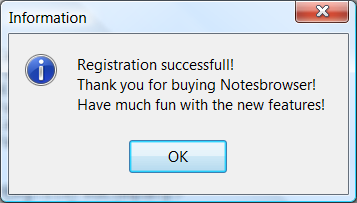 - Try to copy & paste them into the textboxes. 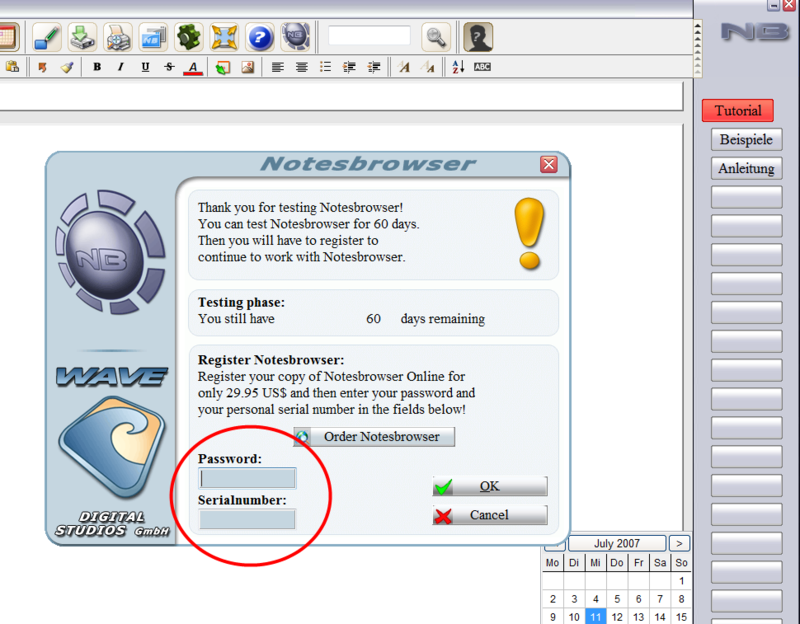 - Copy & Paste them from Notepad(!) so you can be sure there are no invisible characters in it. - Check that you have entered the Password in the first box. Hint: The Password starts with a letter, the Serial number with a number. - If you still have problems with the registration, contact us with the exact(!) error message you get. 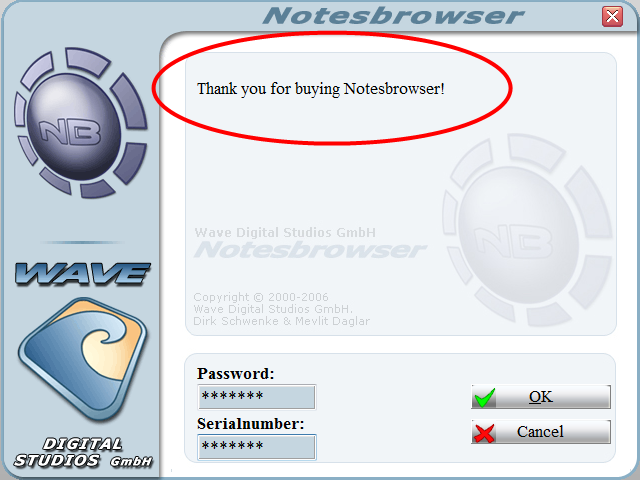 And I can only repeat it: Thank you for buying Notesbrowser!